If you've been impressed by a band at one of the best gigs in Hong Kong lately or have enjoyed rummaging through the city's best secret shops and are looking for more of the same, then check out Hong Kong's best record stores. Local indie music stores might lack the floor space and high profile enjoyed by the likes of HMV, but like the city's newest vintage stores they enjoy strong customer loyalty thanks to their niche products and knowledgeable service. These are some of our record stores favourites. This much-loved cultural institution is probably better known for its vast movie and book stocks. But don’t overlook it on the music front – they’re packing a decent niche of indie-leaning albums, including a nice selection of Taiwan and Mainland bands. We just hope they bring back their excellent acoustic series, Kubrick Friday Live series. 3 Public Square St, Prosperous Garden, Yau Ma Tei, 2384 8929; kubrick.com.hk. Owned by Paul Au, this Sham Shui Po gem isn’t so much a shop as an apartment filled to the brim with vinyl records from every imaginable genre and era – from retro Hong Kong pop to metal to classical and jazz offerings. A word to the wise: nothing’s sorted or nicely compartmentalised for you, so you’ll need to spend your day wading through floor-to-ceiling piles of records – but that’s half the fun. Flat D, 5/F, Wai Hong Bldg, 239 Cheung Sha Wan Rd, Sham Shui Po, 9481 7136. Okay, so Sandymama isn't a bricks and mortar place, but this online music store, launched in 2008, specialises in Cantonese and Mandarin indie music, focusing on the poppier end of the market. All the Hong Kong indie pop faves, from HOCC to Chet Lam and the entire People Mountain People Sea stable can be found here. Still worth knowing about. Sandymama.com. Owned by long-time music stalwart, Gary Ieong, White Noise Records is an essential pit stop for indie music lovers. 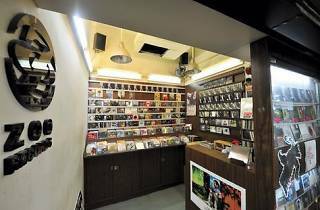 White Noise sells ‘all kinds of music except pop – it’s alternative in the broad sense’ (as Ieong once told us), and cites Japanese underground as most popular at the store, closely followed by indie rock and electro-rock. White Noise also operates a record label, releasing the likes of Japanese underground heroes toe. Invariably, you’ll also find tickets to all the indie shows happening around town on sale here as well. It’s very much a one-stop indie shop. 1/F, 720 Shanghai St, Prince Edward, 2591 0499; whitenoiserecords.org. Formerly residing in a crammed basement in Mong Kok, Zoo Records has only moved a little down Nathan Road since its relocation. Despite the change, it still manages to stand out, mainily through the iconic reputation they’ve developed. Founded by Yeung So and his sister Elan in 2002, Zoo has cornered the market on alternative music from northern Europe. Most of the songs are imported from Finland, Iceland, and Norway, owing to Yeung’s prior career spent as a record producer with artists from those countries. You’ll also find plenty to tickets for shows on sale here. 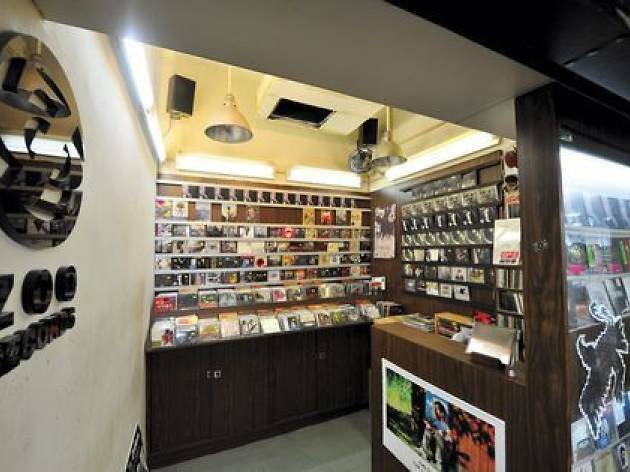 Shop 325, Level 3, President Commercial Ctr, 608 Nathan Rd, Mong Kok, 2309 2911, zoo-records.com.